by Eiki Eiki One fateful morning, Hirofumi awakens to discover he has no memory of the previous two years. All he can recall is the car accident that caused his amnesia, but he can't remember his classmates or anything he learned in school. 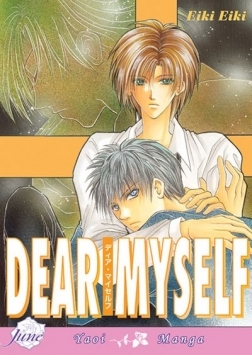 He's shocked to discover that he's been romantically involved with the tragic and handsome Daigo and finds a letter he's written to himself to explain their relationship! Can true love triumph over the loss of memory? And will Hirofumi be able to make Daigo smile again? MATURE THEMES SC, 6×8, 200pgs, B&W SRP: $12.95"